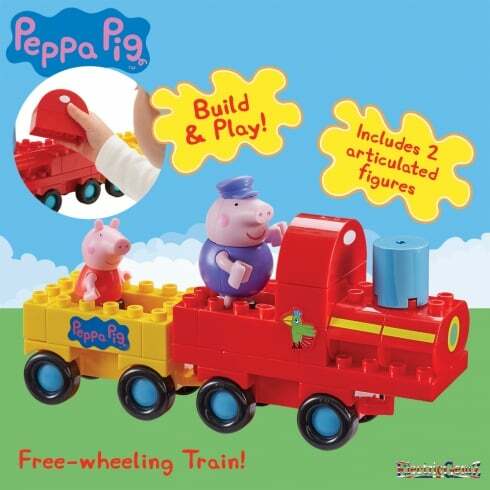 Have fun building this large brick Peppa Pig Construction, free-wheeling train playset. 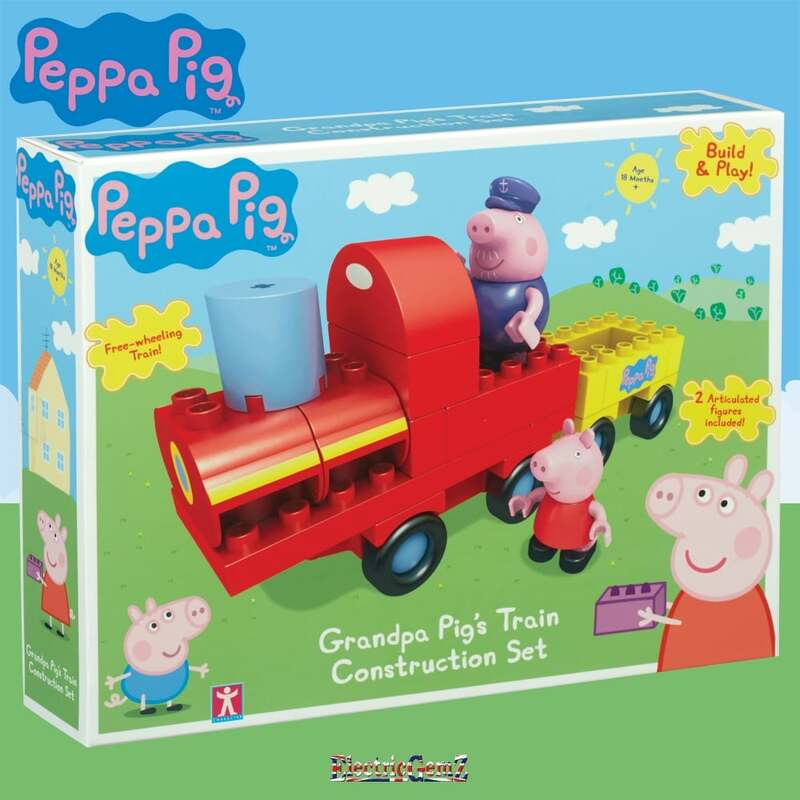 Includes Grandpa Pig and Peppa Pig articulated figures, plus stickers for extra fun! 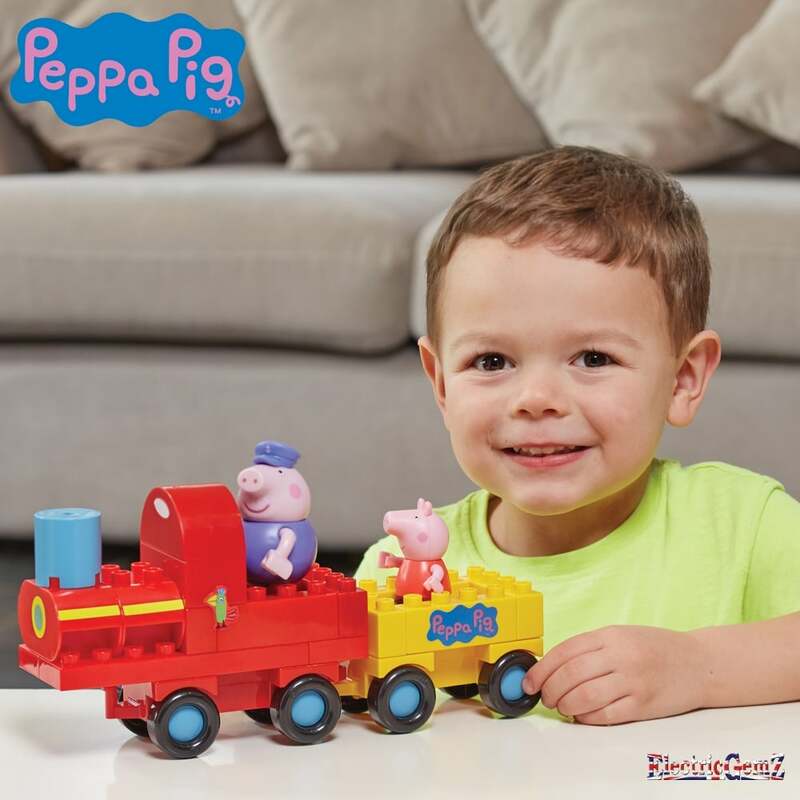 Suitable for ages 18 months +, sit Grandpa and Peppa Pig on the train and push them along! 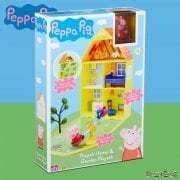 Encourages dexterity and coordination skills. 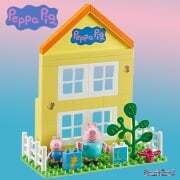 Compatible with other Peppa Pig Construction playsets as well as other arge brick brands. 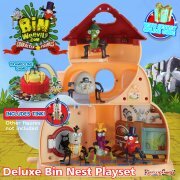 We have the full range at ElectricGemZ. 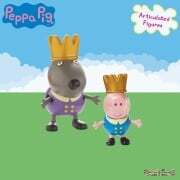 Search in the box above for Peppa Pig.